The Czech suite was written at the point in Dvořák's career when his fame as a composer was burgeoning. The popularity of nationalist music was growing. Liszt had had great success with his set of Hungarian rhapsodies, composed from 1846 onwards, and Brahms had followed on with his famous set of 21 Hungarian dances. The music publisher Fritz Simrock was looking for more music of this kind, and on the recommendation of Brahms approached Dvořák to commission a new work. The commission saw the publication of a set of 16 Slavonic dances which were originally written for piano duet. The work was a huge success. Simrock made a handsome profit and Dvořák received a pitifully small fee. At Simrock's request Dvořák orchetrated the dances, and they were published as his Opus 46. This time Dvořák got a much higher fee. The Czech suite was written the following year. Evidently there was little love lost between Dvořák and Simrock, but the collaboration was one that the aspiring young composer could not avoid. Dvořák did not approve of the publisher's business methods, which involved presenting misleading information to the public. The two fell out over the question of how Dvořák's first name, "Antonín" was to appear on the publications. On the cover of the Slavonic dances, Simrock printed it using the German version "Anton". This was because at the time the intellectual world of Prague was mostly German speaking, and Czech speakers were often regarded as ignorant country bumpkins. Dvořák was justly outraged by having his name printed in this form, and for later publications a compromise had to be reached. For the Czech suite the name was abbreviated to "Ant.". Simrock also liked giving misleadingly high opus numbers works to imply modernity and the maturity of the composer. Dvořák insisted that the Czech suite was his Opus 39, even though it was written the year after his Op 46 Slavonic dances. The work is made up of five movements, three of which are traditional Czech dances, and two are descriptive of the Bohemian countryside which inspired much of Dvořák's music. The first movement is a pastorale in which the bucolic atmosphere is created by drone sounds accompanying a long lyrical melody which is passed around the orchestra and meanders through different keys. Other textures are used to accompany it including prominent birdsong in places. The second movement is a Polka - the most celebrated of Bohemian dances that found its way into many nineteenth century composers' work. It is a dance in duple time with a characteristic rhythmic pattern. Dvořák's movement is in the minor key with a beautiful recurring melody, contrasted by a more lively trio. The third movement is a sousedská which is dance in three quarter time. It has a calm, swaying character and it is usually danced in pairs. Simrock gave the movement the alternative title of Minuet, but the character of the music is quite different from the Viennese minuet of the classical period. It has long legato lines with occasional rhythmic snaps. The fourth movement is a romance that takes us back into the countryside. It is slower and gentler than the two preceding dances, and like the first movement has a lyrical melody that passes around the orchestra. The final movement is a furiant. This is a fast energetic dance that swaps regularly between duple and triple time. It provides a lively and exuberant conclusion to the work. 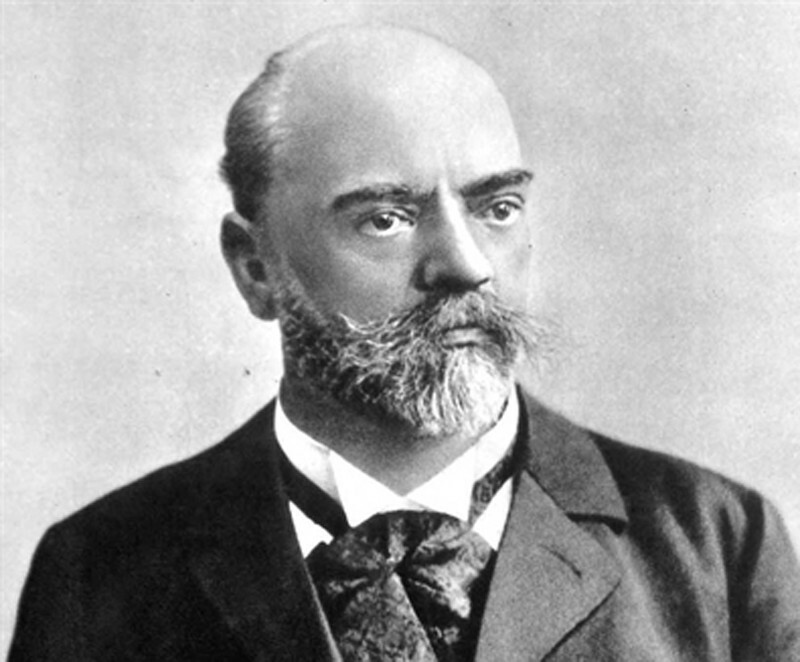 Dvorak wrote another two very famous furiants, one in his Slavonic dances opus 46, and the other as the third movement of his sixth symphony. Dvořák's Czech Suite was performed by the Portobello Orchestra on the 8th July 2017, conducted by Sam Jones.